Check out these Off-roading sites in your Land Rover Range Rover! So, you’re all geared up with a brand-new Land Rover Range Rover, and you’re super excited to test it out around Washington, D.C., Baltimore, and Arnold. Now the question is: Where to go off-roading? Whether you’re at the helm of one of our Land Rover Range Rover vehicles, we’ve got some prime off-roading locations dialed in where you can put it through its paces. Keep reading! Prime Sites to Get Down and Dirty! Ready to dirty up that shiny new Range Rover? Check out these awesome off-roading sites within easy driving distance of the Baltimore-Washington metropolitan area, and prepare to get down and dirty! Tuscarora Trail (State Line Trail): This prime off-roading trail connects multiple states, including Maryland, Pennsylvania, Virginia, and West Virginia. With 248 miles for you and your Land Rover Range Rover to chew up, you’re sure to get your fill of off-road fun! Savage River State Park: 127 Headquarters Lane in Grantsville, MD: More than 54,000 acres of outdoor recreation land await you, with various designated off-roading trails of varying skill levels to accommodate novice off-roaders and experts alike. Get your permit and head out for a memorable ride! Margraff Plantation Trails: Located close to I-68, these trails are in excellent condition and offer up a quick ride full of tight twists and turns as well as short and steep climbs. Prepare for some fun action in a beautiful setting! NOTE: This trail is only open to snowmobilers from Dec. 15 through March 15, and portions of the trail are closed to the public from the end of spring turkey gobbler season through Aug. 15. Otherwise, you may off-road in your Land Rover Range Rover to your heart’s content! Assateague Island Beach: 7206 National Seashore Lane in Berlin, MD: Certain areas of this scenic shore are open for off-roading, so jump in your Land Rover Range Rover and take in the beautiful sites! Permits are required for off-roading activities, so just make sure you stop in at the visitor’s center before heading out. Still Looking for the Perfect Off-Roading Machine? If you haven’t yet picked out a Land Rover Range Rover of your own, but are still in the dreaming stage, isn’t time you woke up and slid behind the wheel for real? 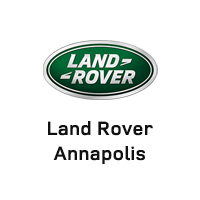 Land Rover Annapolis has a robust inventory of high-quality Land Rover Range Rover models that are just raring to head out on an off-roading adventure! To explore our inventory and take a test drive, contact us today or stop in and see us at 101 Ferguson Road in Annapolis, MD!